Happy Fourth of July, dear readers! A lot of you have been asking for cute menswear summer ideas for staying cool but still looking like grown-up, and all festivities are on halt in Boston do to pouring rain, so I decided to find some inspiration for ya. 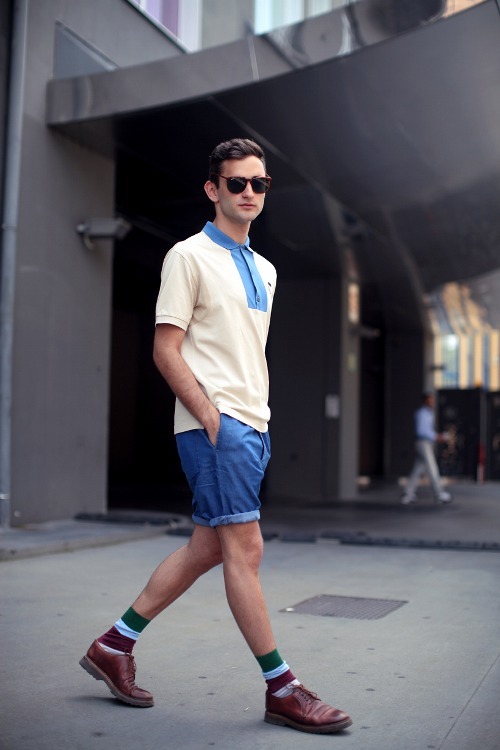 I'm super into retro looks, including socks with sneakers and shorts. I've been wearing a lot of Topman chino shorts and polo shirts and tees from Everlane. Cool patterns always a plus. Enjoy, and let us know what you think below. Jan 22 Qweary: Dandy and Fresh?